We’ve said it before, but it bears repeating – our volunteers and supporters are the backbone of HeadWaters Land Conservancy. We know our volunteers do so to help out, not to receive recognition, but once a year we set aside time to celebrate your enormous contribution of time, energy and expertise. 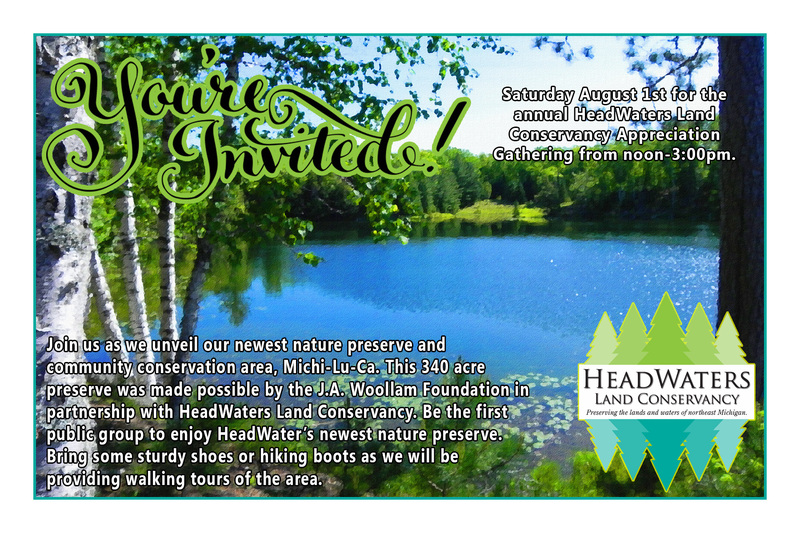 HeadWaters Land Conservancy volunteer appreciation event is our way of saying, “Thank You” to the hundreds of volunteers who help preserve the character of northeast Michigan. You, the volunteers and supporters are truly indispensable! We simply couldn’t do it with YOU. No, I am unable to make it this year.